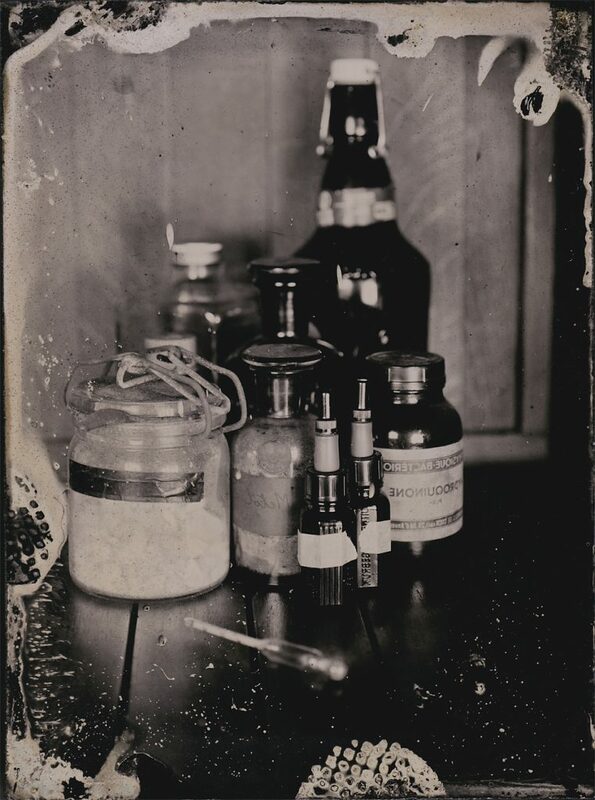 You want to gain insight in what makes existing collodion recipes tick and compare them to each other. You want to tweak an existing recipe. You have slightly different ingredients and want to follow the original recipe as closely as possible. Before trying out a totally new recipe in practice, compare it to existing recipes on paper. Fluids are entered in ml, salts in g. If your recipe uses hydrated salts you can find those at the bottom of the list. (Note: A lot of the hydrates are currently still missing.). These recipes are just for illustration purposes if you look around the web enough you can actually find different formulations for recipes with the same name. Most of the recipes are also pretty vague on the type of collodion, alcohol and hydrates used. They are just recipes I found around different sites and books. Substitutes other solvent mixes maintaining original Nitrocellulose and solvent contents. If you get negative values you will have to take this amount out of the mix. In practice this probably means you can't make the recipe using your selected ingredients. In reality, you may also have to fudge a bit with the water as it may not be enough to dissolve the salts. Substitutes the cation maintaining the molar concentrations of the anion. The idea here is that the result will hopefully have similar sensitivity, spectral response and reactivity as the original recipe. Weight controls the weighting factor for different salts for the same anion. If you select for example two Br salts and give one a weight of 2 and the other 1, it will use twice the amount of the first salt compared to the second in the new recipe. Weighting method controls how the weighting is applied based on molecules, weight of the salt, of weight of the hydrated salt. This list some automatically generated comments on the current recipe. Don't take these too seriously they are automatically generated based on a number of simple checks.